There are many animals in the world that would look different if you were to see them once in the Spring, and then again in the Winter. In an evolutionary phenomenon, these animals’ fur turns white in the winter. Although scientists aren’t fully confident on the reasoning behind this, they often believe this change serves as a form of camouflage in snowy conditions and better insulation for the animals. 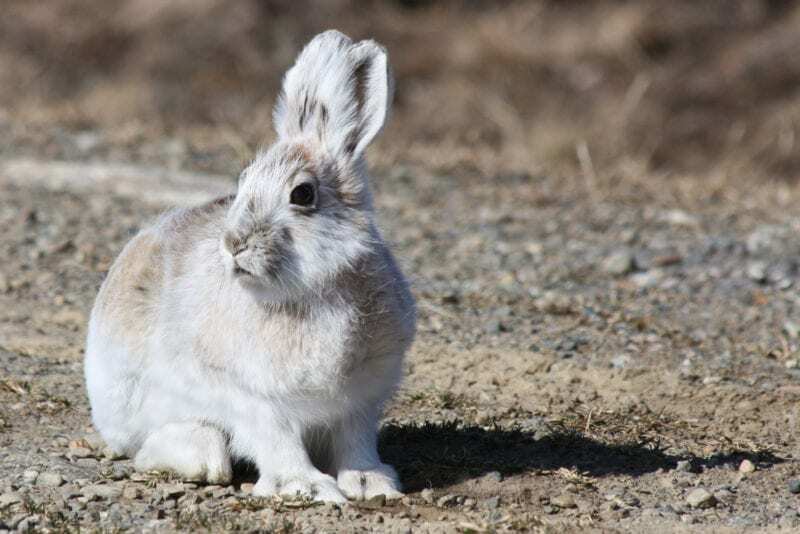 There are hundreds of species of hare across the world, but there are only a few species which turn white in the winter – the Mountain Hare (Lepus Timidus), the Arctic Hare (Lepus Arcticus) and the Snowshoe Hare (Lepus Americanus). These hares change from a brownish-grey color in the summer and spring months, to white in the winter months. Many scientists believe this is due to the lack of sunlight in the winter months, and the photoperiod, resulting in white fur. 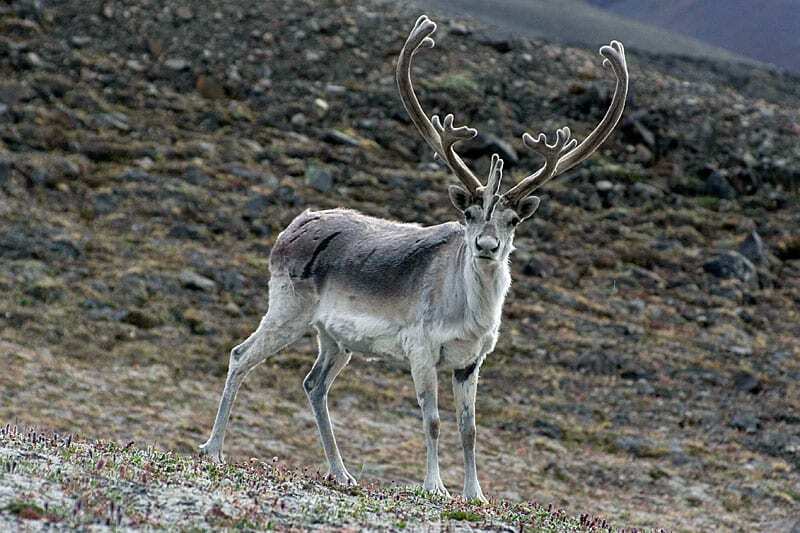 The Peary Caribou (Rangifer Tarandus Peary) is the only species of Caribou that changes their fur. The species is native to the area of the High Arctic of Canada and Greenland, and the smallest subspecies of the caribou – which has led many scientists to believe they were a completely different animal. During the winter months, the Peary Caribou sheds it’s silver summer coat for a white coat. All other species of caribou stay brown all year long. The Arctic Fox’s fur has become famous across the world – but not for all of the right reasons. The fur has become extremely popular on the black market, and many illegal poachers go in search of them in the Arctic. But their color-changing fur works in their favor and camouflages them from the enemy. 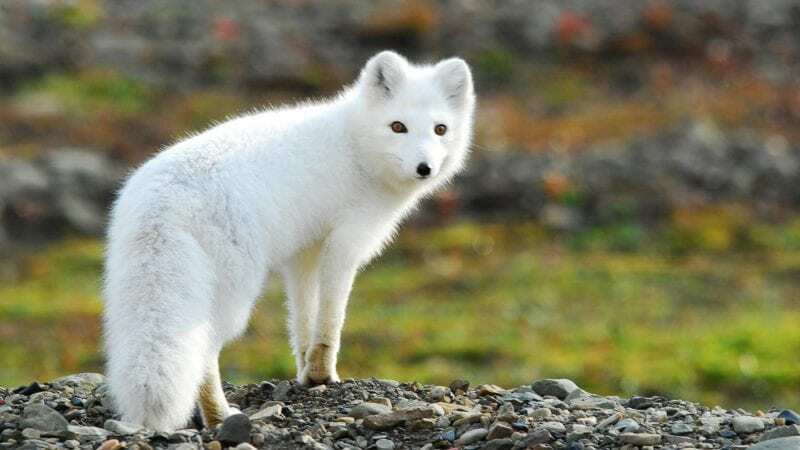 Starting in September, the fox begins to shed the brown fur and replaces it with a pure white coat to help it through the cold and blend into the snowy conditions. 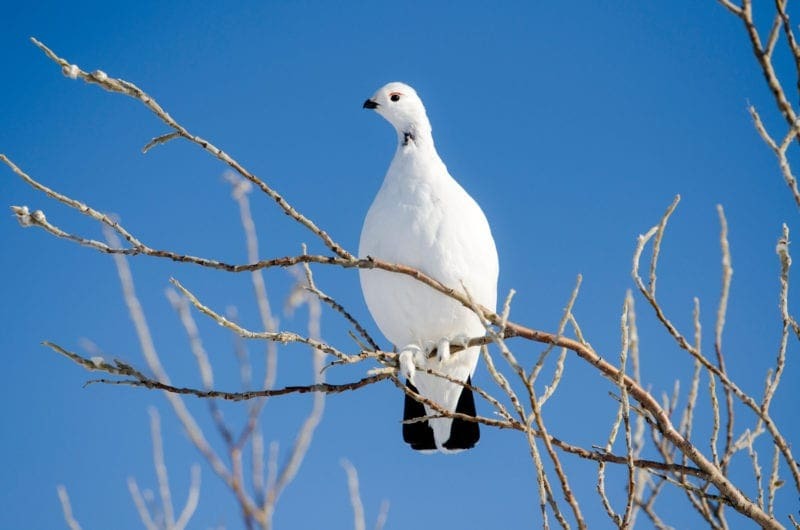 The Ptarmigan is a bird known in the Northern regions of America and is often compared to a chicken or a grouse. This game bird changes from a speckled brown/black color in the summer months, to a white color in the winter – except for its tail. Even in the winter, the tail remains it’s original color of brown or black. During the winter months, the Ptarmigan sits in the snow to hide from predators and nestles in between rocks during the summer months. 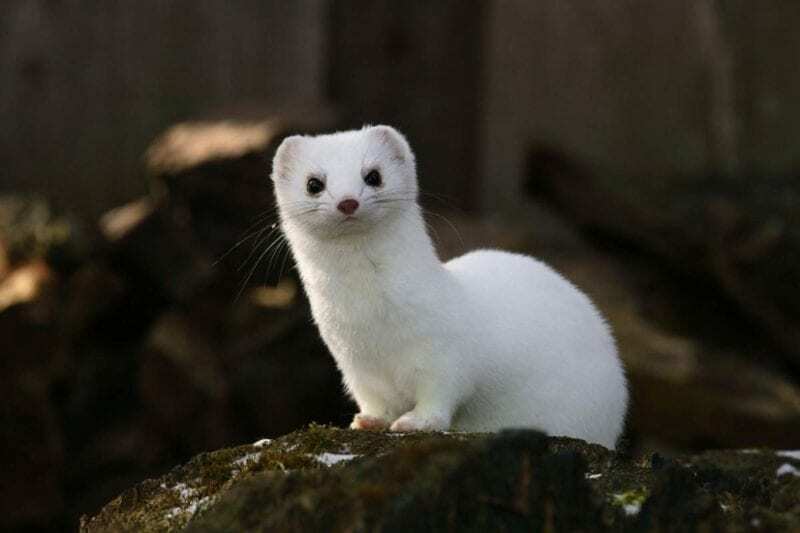 The Ermine is often referred to as the Short-tailed Weasel or the Mustela Erminea (and is ridiculously cute). It is the smallest species within the weasel family, and turns from a brown and white color during the summer months to white in the winter – except for it’s tail. again, which stays brown. They are nocturnal animals and use their fur to remain undetected from bigger animals and predators. They are one of the only species of weasels to change color, although many who live in northerly regions do adopt this camouflage.